You agree, through your use of this site, that you will not post any material which is false, defamatory, inaccurate, abusive, vulgar, hateful, harassing, obscene, profane, sexually oriented, threatening, invasive of a person's privacy, adult material, or otherwise in violation of any International or any other country law. You also agree not to post any copyrighted material unless you own the copyright or you have written consent from the owner of the copyrighted material. Spam, flooding, advertisements, chain letters, pyramid schemes, and solicitations are also forbidden on this community. Note that it is impossible for us to confirm the validity of your communication. Please remember that we do not actively monitor the posted messages or their attachments, and as such, are not responsible for the content contained within. We do not warrant the accuracy, completeness, or usefulness of any information presented. The communication via our community express the views of the author, and not necessarily the views of us, our staff, its subsidiaries. Anyone who feels that a posted message is objectionable is encouraged to notify an administrator or moderator of this community immediately. We reserve the right to remove objectionable content, within a reasonable time frame, if they determine that removal is necessary. This is a manual process, however, please realize that they may not be able to remove or edit particular content immediately. This policy applies to member profile information as well. You remain solely responsible for the content of your communications, posted messages and content. Furthermore, you agree to indemnify and hold us harmless, any related websites related to Mobile Joomla!, its staff, and its subsidiaries. We also reserve the right to reveal your identity (or any other related information collected on this service) in the event of a formal complaint or legal action arising from any situation caused by your use of this community. Any information we determine to be inaccurate or vulgar in nature will be removed, with or without prior notice. Appropriate sanctions may be applicable. Please note that with each communication, your IP address is recorded, in the event that you need to be banned from this community or your ISP contacted. This will only happen in the event of a major violation of this agreement. This Terms and Conditions shall be governed by and shall be construed in accordance with the laws of Finland excluding its choice of law rules. All disputes relating to Mobile Joomla!, it's parent company and this Terms and Conditions shall be settled at District Court of Helsinki, Finland having the sole jurisdiction. The trademarks, logos, characters and service marks (collectively "Trademarks") displayed on the Mobile Joomla! site and possible affiliate sites are the property of their respective owners, and are subject to there own terms & conditions where applicable. Any copying, redistributing, or publishing of any part of this site in any manner is prohibited. 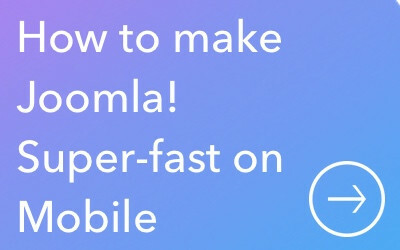 Mobile Joomla! reserves the right to make any change to this agreement without any notice.